Rough Drawing Effect is an experiment in Three.js and WebGL that features multi-colored 3D shapes dancing around a colored background. 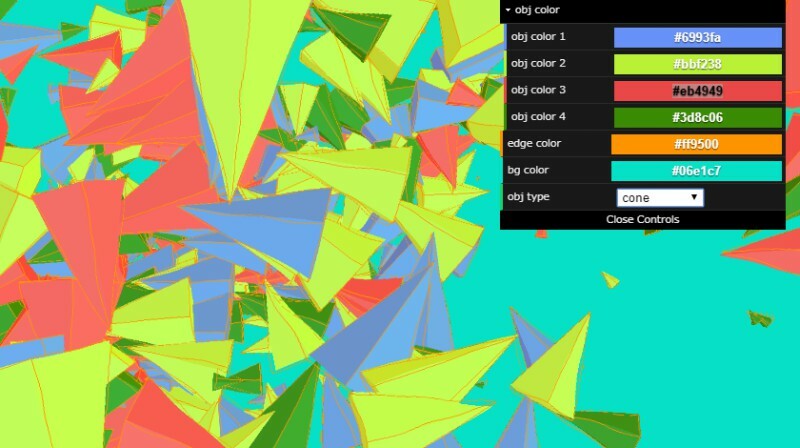 Its author was inspired by another WebGL experiment called Polygon Shredder. The demo has controls that allow shape selection (e.g. hexagon, triangle, cone, etc.). You can play around with the colors of the objects faces and edges, as well as the background. Drag to change perspective, and zoom in and out to modify shape sizes. Check out this cool experiment here.